Lemongrass Essential Oil is one of the first three essential oils that I purchased in my aromatherapy journey. The aroma is so lemony, fresh, invigorating and uplifting, and it was an important essential oil for me to begin with. If you're looking to work with an essential oil that has an intensely strong lemon aroma, Lemongrass Essential Oil is for you. It's a beautiful essential oil to work with if you are looking for an essential oil that can help give you an emotional boost when life is challenging. It's wonderful to include in blends for use when you are emotionally or physically lethargic or when you need help focusing. Although cold pressed Lemon Essential Oil is phototoxic, steam distilled Lemongrass Essential Oil is not phototoxic. However, Lemongrass Essential Oil is abundant in citral (geranial and neral). It can pose a significant risk of skin sensitization when used over 0.7% in topical applications. A little goes a very long way in topical formulations. Lemongrass Essential Oil can be helpful when carefully used in very-very low dilution by those that are challenged with acne-prone skin. Aromatically, Lemongrass Essential Oil blends well with essential oils in the citrus, wood, mint and herbaceous families. Like Geranium Essential Oil and Peppermint Essential Oil, Lemongrass Essential Oil can easily overpower a blend, so use it minimally at first. Source: Valerie Ann Worwood, The Complete Book of Essential Oils and Aromatherapy, 25th Anniversary Edition (Novato, CA: New World Library, 2016, 599. Source of constituents for both East Indian and West Indian Lemongrass Essential Oil: B.M. 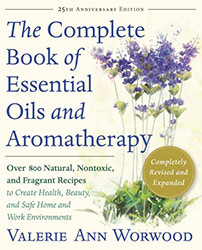 Lawrence, Essential Oils 1981-1987 (Wheaton: Allured Publishing, 1989), 111. L. Zhu, Y. Li, B. Li, et al. Aromatic Plants and Essential Constituents. (South China Institute of Botany, HK, 1993), 200. L.S. Chagonda, C. Makanda. Essential Oils of Cultivated Cymbopogon winterianus (Jowitt) and of C. citratus (DC) (Stapf) from Zimbabwe. (Journal of Essential Oil Research 12, 2000), 478-480. Sources cited in Robert Tisserand and Rodney Young, Essential Oil Safety (Second Edition. United Kingdom: Churchill Livingstone Elsevier, 2014), 334.